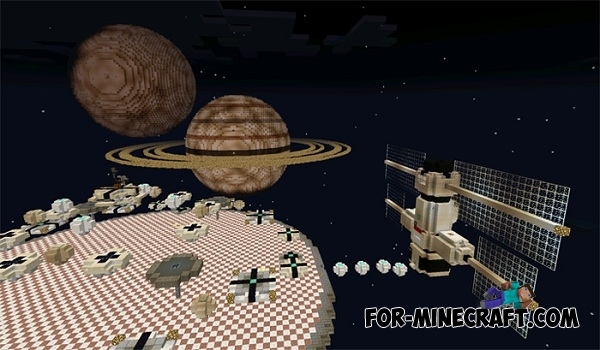 Amazing Space PVP-Arena, which is surrounded by a huge planet. You can select one of the classes: Lord of Fire, The Witcher, Darth Vader, Alien, Astronaut, Lord of Planets, Galactic Defender and Stormtrooper. In some places, you will find a special platform, which give different effects ranging from high-speed to jump. 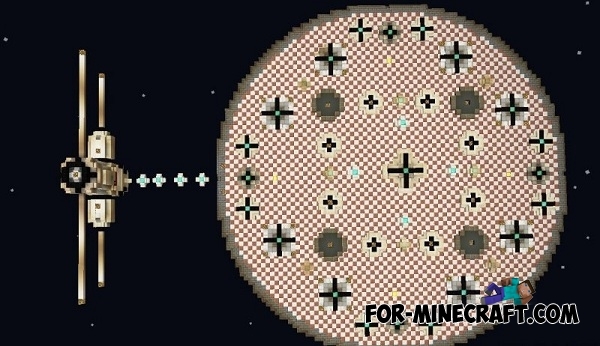 Galactic Mod for Minecraft PE 0.10.5Before you mod that diversify the gameplay, adding a rocket. And do you think that we can do with it?